To Me Way Hey, To Me Way Oh! Whether for classroom sing-alongs, adult community sings, choral concerts, or just riding in the car, this Step One of the SING WITH US songbooks is an invaluable resource. Composer and song leader Nick Page, who has led group sings and workshops at MENC, ACDA, AOSA and other conferences for many years, has assembled this multicultural set of 28 easy and fun sing-along songs for all ages. 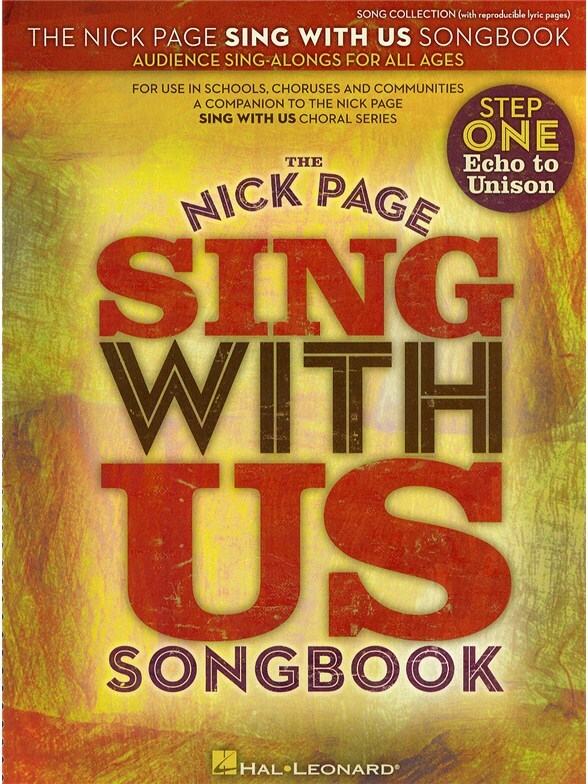 The collection begins with echo songs that are easy, but with a simple challenge, reinforcing Nick's belief that the first step in getting people of all ages to sing along is to make them better listeners. Along with this, Nick encourages using lots of emotion, particularly joy. The call and response songs and the unison songs that follow offer well known gems as well as easy to learn new songs that can be sung in unison or with harmony. Nick provides invaluable cultural information as well as essential tips for making the songs come alive. Reproducible lyric sheets are also included.